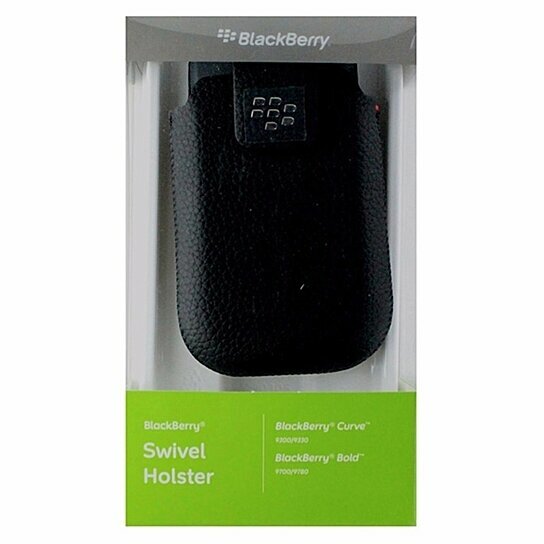 BlackBerry brand Leather Vertical Pouch and Clip for BlackBerry Bold 9700 and 9780, and BlackBerry Curve 9300 and 9330 series. All Black finish. Magnetic Closure. Holster Belt Clip.